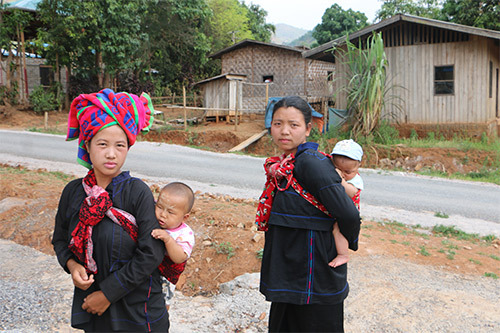 NAM KHOKE VILLAGE, Myanmar – Nan Aye Aye Lwin walked for three hours to reach the Nam Khoke Rural Health Centre. When she arrived, in the late afternoon, the anxiety was apparent on her face. She has two children, she told the clinic’s midwife, and does not want more, at least not now. But she was worried she could not afford contraceptives. Her husband is a seasonal labourer, and money is tight, she explained. Contraceptives can go a long way towards improving women’s health and lifting their families out of poverty. 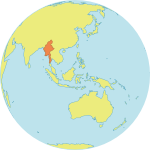 Family planning also enables women to stay in school or the workforce, improving their families’ economic prospects – critical for Myanmar’s rural poor. Yet contraceptives have been unavailable to many women in the country. According to the 2015-2016 survey, "16 per cent of currently married women have an unmet need for family planning." Much of this was because of poor inventory and stocking systems. Family planning supplies would sit in warehouses or overstocked health facilities, while other clinics, especially those in rural areas, would go without. But there has recently been a welcome change. 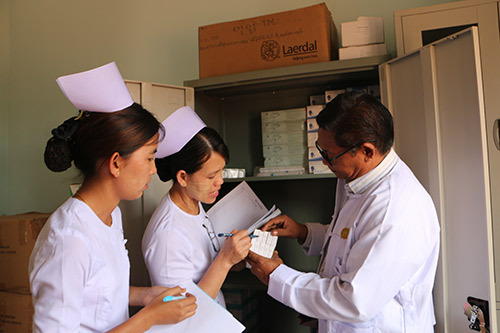 Last year, UNFPA worked with the Myanmar government and John Snow, Inc. to release a new logistics system, which helps manage the procurement, storage and inventory of reproductive health supplies. Every time a contraceptive, or other reproductive health product, is dispensed, it is entered into the system. At the township level, the system is online. At rural health centres, where internet is often inaccessible, the inventory is kept on paper, then reported to the township. This system enables township facilities to reallocate stock to where it is needed most. The system also gives special attention to remote health facilities. For example, it ensures there will be enough stock to last through the rainy season in places where transportation is limited by the weather. By the end of 2016, the system was expanded to 72 townships in six states. Over 4,000 health staff had been trained to use it. UNFPA is now monitoring and evaluating the system’s progress. Since the programme was piloted in 2014, the percentage of adequately stocked health facilities has increased from 4 to 39 in townships with the new system. Stock-outs have decreased from 50 per cent to 20 per cent. By 2018, the system will cover the entire country. Senior midwife Daw Kyu Kyu Thin explained that the change has improved the care she provides in a variety of ways. “Field health staff spend much less time in tracking and entering the records. We can now do more mobile clinic visits,” she said. And it has also improved the availability of all kinds of reproductive health medicines and supplies. “We consistently have enough stock of the [contraceptive] injection, as well as of other medicines for pregnant women and mothers, to bring with us,” she added.